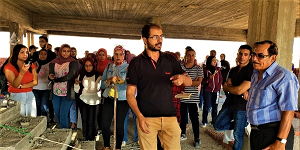 In the light of the endeavours exerted by the Architectural Engineering Department to enhance the learning process through integrating theory with practice, a field trip was organised to Alex West Project in King Mariout on Sunday, 14 October 2018. This trip was considered a practical application of the course of “Architectural Design Level 1”. 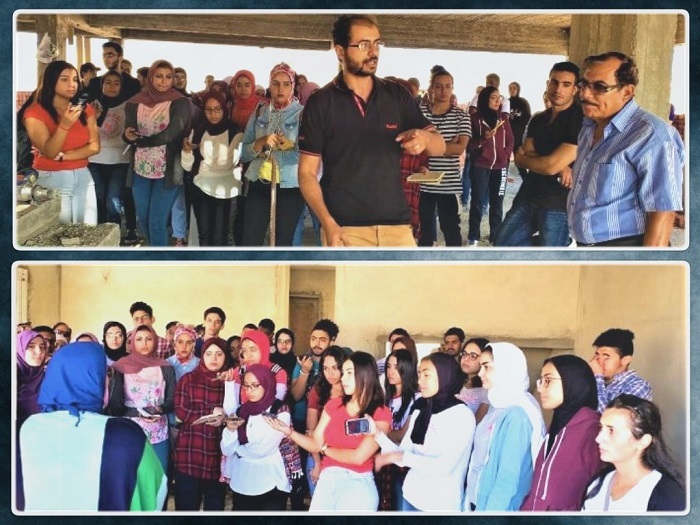 The Architectural Engineering delegation was received by the owner and manager of Alex West Project who took them in a tour around the project housing units. This visit was considered a field research that the students would gain a great benefit from before designing the “Housing Unit” Project. By the end of the visit, the delegation thanked the project team for their good reception and the full detailed explanation they provided about the project. This visit was made under the auspices of Prof. Ramadan Abdel Maksoud, the Head of the Architectural Engineering Department. The coordination of the visit was managed by Assistant Prof. Ghada Ragheb, Dr. Mona Naguib, Dr. Maha Ali, Eng. Loura Nabeel and Eng. Rudina Adel.